Learn about VA Staffer small business SEO services for businesses. Includes info on VA Staffer, free trials, pricing, customer reviews, and FAQs. VA Staffer offers small business SEO services for small businesses. With VA Staffer, users have access to affordable and quality virtual assistance and digital marketing services. Products include marketing, SEO, business consulting, and eBook promotion. Pros: Simple and professional. Offers a range of key features. Excellent support team. Cons: No customer support contact number. Bottomline: Great, professional service! Equipped with useful features and a simple layout. What is VA Staffer's price range? VA Staffer plans range from $497.00 to $1299.00. VA Staffer also offers one monthly SEO plan for $69.00. Is there a VA Staffer free trial? No, VA Staffer does not offer a free trial. What are some VA Staffer alternatives? Where can I find the VA Staffer login? Go to vastaffer.com and click "Client Login" at the top right corner of the homepage, or sign in directly at https://projects.vastaffer.com/ac5/login. I have used VA Staffer for 4 rather large projects so far, and have always been very pleased with the work! I find they are extremely knowledgeable in SEO, and their web development has been top notch. These are pretty much the only guys I go to no matter what it is I need done. They take such good care of their employees, and it shows in their work at every corner. Thank you VA Staffer! Everyone I have come in to contact with has been beyond kind and excellent at their job. Jeff and his staff are really helping me take my business to the next level. 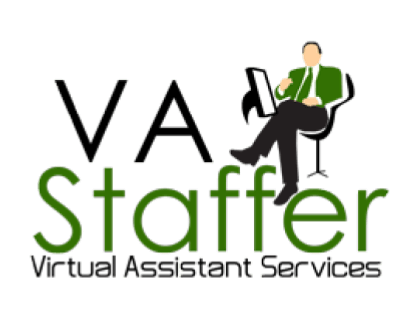 I highly recommend working with VA Staffer for any of your VA needs. Have used them for three or four projects. Always great service, prompt and stay in communication every step of the way. Thanks guys. I'll be back. VA Staffer willfully misclassifies their employees as independent contractors. Your continued use of their services can spread liability to you.You've been warned!